The Hillcrest + Danielsen School partnership has been operating for 30 years. Hillcrest Lutheran Academy has educated students for over 100 years. Since 1989, we have the pleasure of operating a one-year international program with The Danielsen School. With this tradition and experience, the staff and faculty of Hillcrest understand the needs and goals of Danielsen students making this an ideal situation to spend a year abroad. Below you will discover how to apply to Hillcrest, what you can expect in your time at Hillcrest, the impact a year at Hillcrest Academy can have on you as you continue to grow in maturity and knowledge of Jesus Christ. Students attending Hillcrest experience life-changing friendships. The friends made at Hillcrest over the course of 10 months living in the dormitory forge brotherhoods and sisterhoods with friends from around the world. Going to classes, helping each other overcome obstacles while learning difficult concepts in a rigorous academic setting places students in opportunities to grow together and support each other in a Christ-centered Bible-based environment. 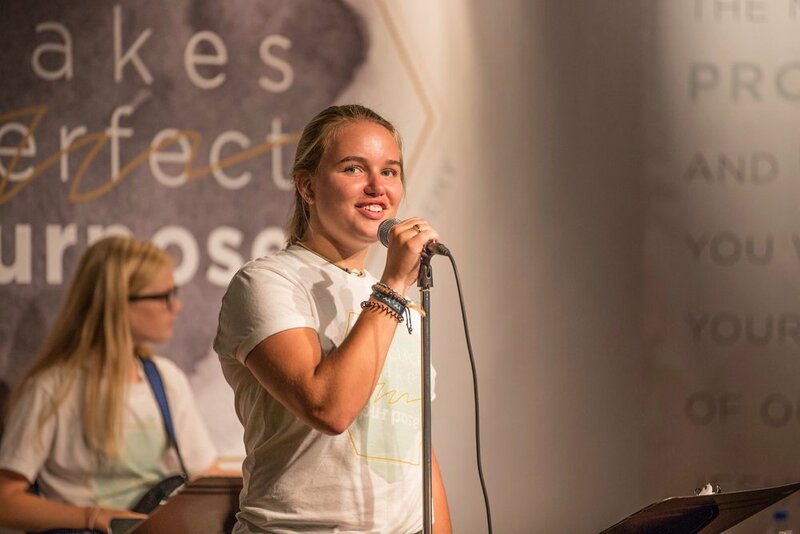 Students will have the opportunity to grow in their faith and share in focused spiritual formation events, where many students share how they have grown in Christ during their upbringing and their time at Hillcrest. Breakfast at Hillcrest is an important part of the day. Students receive nutrition from our catered meal service to energize them for their day of studies. The breakfast meal involves traditional cereals, fruit, bread, and a main course such as oatmeal, waffles, eggs, or the like. Hillcrest students go through 8 45-minute class periods in their school day. They will study core subjects in mathematics, language, history, science, and Bible. Elective courses in computer drafting, engineering, art composition, pottery, photography, writing, and choir are available for students to enroll in. Hillcrest’s focus on mentorship provides many one-to-one teacher to student interactions in the course of the school day. Progress is efficient and students are supported through Hillcrest's student services program. Lunch is a time for students to refuel at Hillcrest. Students receive ample time for a light lunch enroute to further studies in the afternoon. Hillcrest’s catered lunch program ensures student satisfaction and nutrition as they further their studies at Hillcrest Academy. 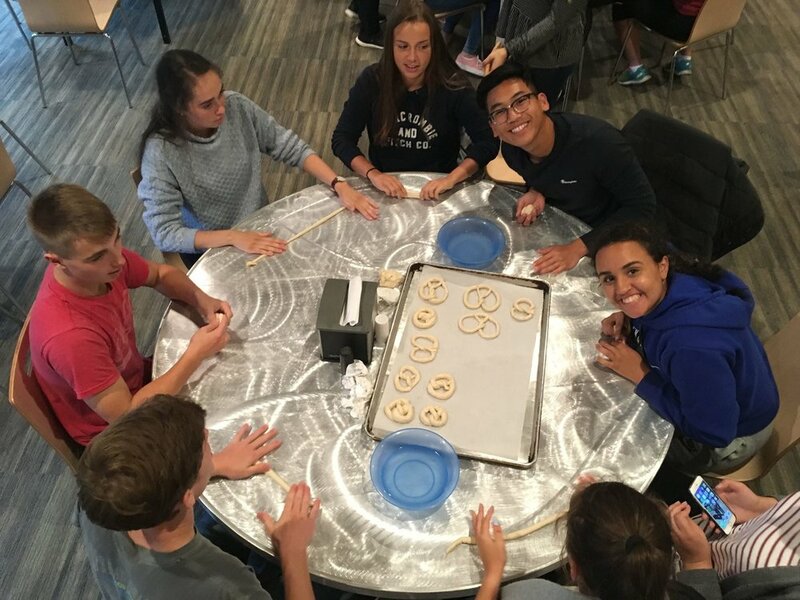 With a laser tag course, beach volleyball, broomball rink, a full gymnasium, and weight and exercise room, evening and weekend activities are a welcomed way for students to exercise and find enjoyment in building relationships. The evening activities are an important aspect of the Danielsen + Hillcrest experience. Students learn some of the cultural games played in the United States, while interacting with friends from around the world in athletic, social, and small group events. The evening time at Hillcrest is an enjoyable experience. Students will use evenings to communicate to parents through Skype, visit with friends, and build relationships with mentors. As students wind-down for the day, rest is an important practice as we aim to keep students attentive and healthy during their Hillcrest experience. An organized and well-communicated lights out and bedtime routine helps students prepare for rest. Students will turn all technology off during this time, ensuring that they are able to focus on recharging during their sleeping time over night. All students will have an international or American roommate, which means that you will inevitably share some special conversations with each other as you wind down and recap from the day. These special times are a hallmark of the Hillcrest experience. Hillcrest Academy is training students with a 100 year history. In the summer of 1912, the Church of the Lutheran Brethren saw the need for a high school, and certain individuals of the church voiced strong demands for it at the annual national conventions. The public schools educated all students only through the eighth grade in that era, and if a young person desired to get a high school diploma, he or she would have to enroll at a town that was larger and posed greater distractions in education. In 1915, the church authorized the addition of freshman and sophomore high school classes, and these classes began in the fall of 1916, marking the official beginning of what later became known as Hillcrest Lutheran Academy. In 1917 Bible School President E.M Broen recommended to the annual church convention that a full four year high school be offered as soon as possible. Further, he recommended that moral young people who might not have come to a conscious conviction in belief of Jesus Christ be accepted into the high school department. In 1935 the school moved to a building made of red brick and had been built on a hilltop in the southeastern portion of Fergus Falls. Four-and-one-half stories in height, with roof spires reaching even higher in the sky, the brick structure had been an architectural landmark in the area since its construction in 1901. The peak of the pencil-point spire on top of the building’s belfry measured about seventy feet off the ground, soaring far higher than any other building in the city. Since 1935, the "Castle on the Hill," as it is lovingly referred to, has undergone many renovations to make it a safe and modern learning & living environment. However, preservation of the classic aesthetic of the original architecture has remained a priority. One of the first Norwegian classes from the Danielsen School in Bergen, Norway. Since the establishment of Hillcrest in 1916, International students have attended the school. Covering nearly every continent, Hillcrest alumni have walked the halls and called the dormitory home. Hillcrest's comprehensive program, training the mind, body and soul to understand the world, is second to none in the boarding school community. In the 1980's Hillcrest developed a strategic partnership with the Danielsen School in Bergen, Norway. The partnership has created a unique classroom environment for American and Norwegian students alike. Nearly 600 Norwegian students received training at Hillcrest through the Danielsen + Hillcrest program, creating a small army of students with an American experience to couple with their college preparatory education. International students integrate into Hillcrest's school environment seamlessly. Shortly after the partnership with the Danielsen school, Hillcrest developed relationships with schools and faith-based groups in South Korea, China, Japan, and Vietnam. These partnerships have created a new influx of students and perspectives into the classrooms. With instructors trained in cross-cultural communication and intercultural studies, students feel supported and gain a holistic understanding of material as instructors note differences in interpretation from America, to Europe, to Asia. Hillcrest's newest education commitment is to students seeking a rigorous college preparatory education through summer preparation. Targeting International students, Hillcrest understands this new program to retain the original vision of the school, providing a holistic education opportunity for students who may not have education options in their area, while providing students with social, emotional, and spiritual training. Hillcrest considers each applicant as a potential member of our family. That said, we are take special consideration of how each applicant might strengthen or challenge the community at Hillcrest. As a distinctly Christian school, holding recognition as a premiere worldview and discipleship training program, our student body is made of predominately famiies who take faith in Jesus Christ and faith-formation seriously. We do, on occasion, accept a student who may not have a faith background, but who displays interest in understanding more about a Biblically-based perspective of the world. Hillcrest is a school for students who have faith in Jesus Christ, and we do accept a small percentage of students (under 9% of our total student body) who may not have a faith tradition, but who display interest in learning about a Biblical perspective. Wayne Stender will walk you through the inquiry and application processes. If you have any questions, concerns, or difficulties, please email Wayne at: wstender@ffhillcrest.org. Create a profile and complete the application online by clicking the red box titled "Apply to Hillcrest Online" above. In selecting the application type, make sure you select the Danielsen Application option. Complete the application accordingly. Hillcrest will review the application and references provided by the Danielsen School. Our decision on admittance will be communicated through the Danielsen School.